If you were colbert, who/what RD pick would you trade for what CB? We need major help at CB and there isn't much on the roster that I can tell that will help. Of course, the same could be said about safety, but I thought CB was more of a need. It's a close call, and a bad situation. I am at the point where B. Allen and M.Allen should play to see how they do, it's an opportunity for them. It can't get much worse so why not ? None. We have too many holes that one in season trade would help. If all this fails, get butler off the team in the offseason. Tis is obvious already, but to save the season, try new scheme and hope these adjustments suite the roster more. The breakdowns in the secondary are the real issue, because most pass rushes in the league won't be able to fix that. I really don't think adding a corner is necessary. Artie has talent, Haden is still pretty darn good, Sutton will put it together. So much of CB play is confidence and currently Artie has none. This does not mean he is trash. I will maintain this, but the problem with the defense is not the secondary, it's the anemic pass rush. QBs have forever to throw, they have a clean pocket, they can step into their throws. If Heyward and Tuitt can't do their jobs, we could have prime Revis, Champ Bailey, Rod Woodson, Mel Blount, Michael Jordan, and Jesus Christ playing CB and we'd get torched. Davis hasn't been bad. Definitely not bad enough to lose his job to a 5th round Rookie that couldn't even cover in college. 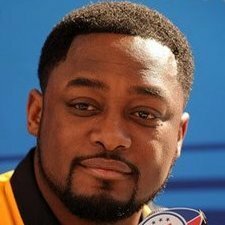 saw a stat online that ranked Davis as the 10th best safety in the NFL so far, also tomlin seems pleased with his play. He was bad last year so people will continue to parrot how bad he is until the end of next year. I thought he was much better last year, but this year he has been in the miscommunication pact out there. Maybe I should just give up and watch what happens. I want these players to help the D, but currently I have no reason to think they will. It might not be entirely their fault, I still see the DC as the fault . As Mo said above, it wouldn't matter who we put out there if the pass rush is anemic and then add to that players not know what to do or even have enough players on the field. I can't believe how badly the D has imploded . The worst we have had in over 45 years. When was the last time a team said that and kept their DC? IF we trade Bell I hope its for a guy like Brandon Graham or Shaq Lawson who would play 3-4 LB for us. It solves one of our issues moving forward and allows us to focus on fixing others. Butler , can't let him stay. So i've been listening to the Terrible Podcast lately with David Todd and David Bryan. They believe Bell will not be traded and no changes will occur to the FO or coaching staff. If they're right that'll be very disappointing. Our defense has gotten progressively worse under Butler and yes, it's a talent issue, which you could blame Colbert for, a discipline issue which you could blame Tomlin for, an attitude problem which, isn't that why Porter was hired? There's enough blame to go around, the players are guilty also. If we miss the playoffs, imo, someone has to lose their job. Did these people in that podcast predict we make the playoffs? If so, then I can understand the mentality " we made the playoffs we "won?" the north etc..."
Based on what I have seen on the D, I can't see much changing and Bell not being traded will add to the drama on this team . If he returns and has a 200 yard game , thats different, but I want to watch him run with foster and pouncey being as bad as they have been lately. The OL has to play better, no matter who the RB. If this team is a 6 win team and there are no changes, people should cease buying tickets for a season or until the team finally makes changes. This is a bit more severe than in 1987 when there was a sign at three rivers "malone: stay on strike" , because there are many problems with this team. 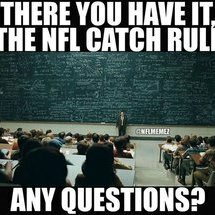 Then some players, but that can wait for the end of the season thread (maybe 10 weeks from now) . I would start with the above, Tomlin gets some slack since the owner will stay with a HC through hard times. this team has a lack of guts thats for sure. That shot of the D on sideline sitting on the bench like they were around a campfire summed up this D. Worthy of a signature at this juncture . I think Butler at DC is the issue more though. Then some players, and possibly porter, but tomlin is further down the blame chart for me nowadays. He had good D units from 2007-2011, energy was different than the campfire ritual of 2018 thats for sure. Originally they both predicted at 4-0 start and David Todd predicted the Bell would return before the start of the Week 1. Since our loss to KC they have changed their tune and believe if we lose to the Falcons our season is basically over. They believe if they completely turn it around then they could make the playoffs but that is no longer their expectation.